What are the little spacers holding the bobbins away from the bracket for? 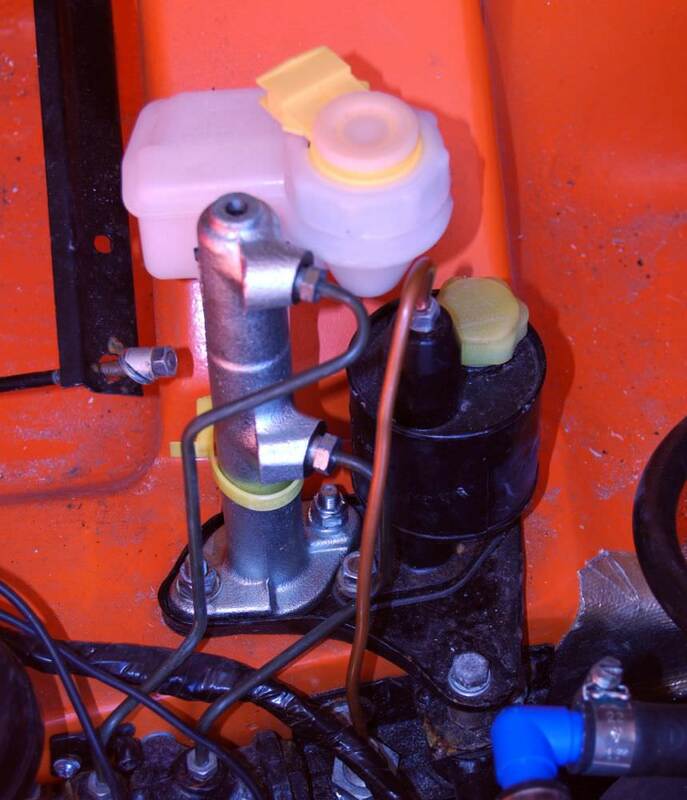 Minor but important update: Fuel system is now pretty much DONE. The original fuel filler hose (which I'd kept for sizing purposes) was a nasty item - it was obviously the original from when the car was built. It was cracked, very hard and also extremely heavy - a sure sign of knackered rubber, and quite a heavy-duty fit-and-forget item. A quick bash of the card on the Car Builder Solutions eBay account saw a 57mm ID length of filler hose appear on the doorstep today. 10 minutes and a minor trim later, it's on the car and I am a happy boy. Old fuel hose - only fit for "File 13". 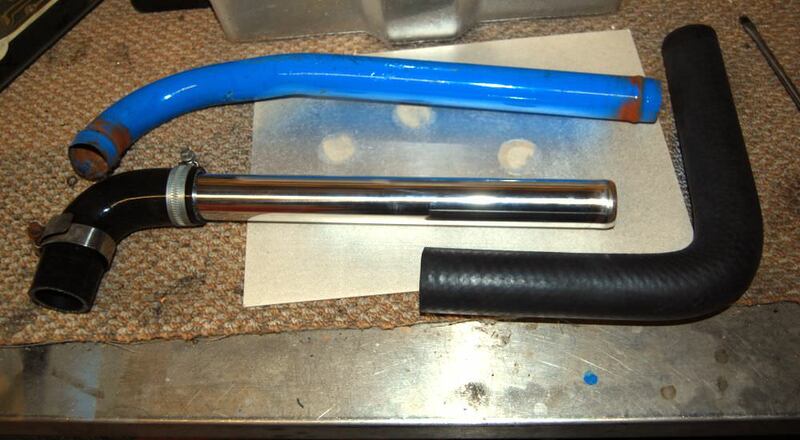 New fuel filler hose all fitted up and done. Here's a tiny but overdue update. I have been unable to spend any extended time in the Manroom due to my garage heater not playing ball. It fires up but won't stay lit which really doesn't help in weather like this. Therefore it was time to do something which doesn't involve me freezing my extremities off. I have removed the sunroof from its resting place in the car and have taken it to a sunroof specialist. I need a new seal as the original was shot to bits and leaking badly when I bought the car all those years ago. They're going to have a look at what they have in their seals store and come back to me. I am guessing that a seal for a 1981 sunroof won't be common. If and when they find something to fit (hopefully! 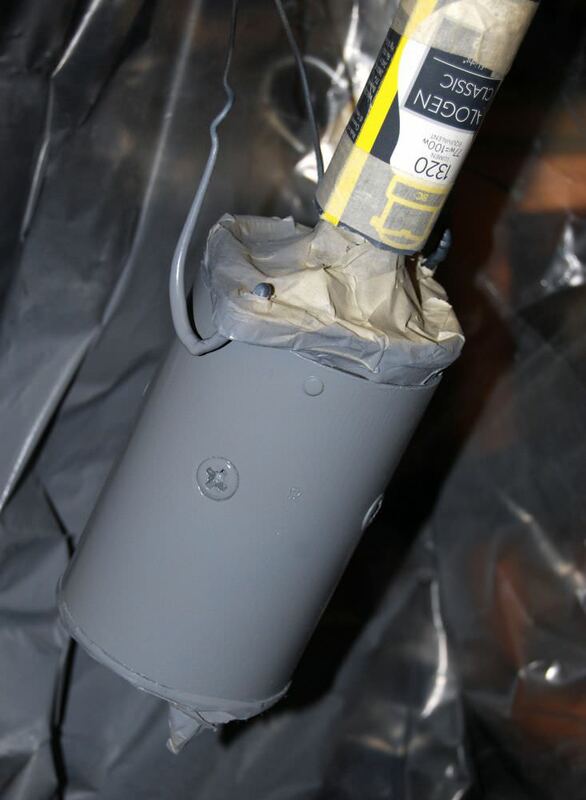 ), I can go ahead and fit it permanently - I've dug out all the fixings which I carefully packed in a box years ago. Just waiting on the phone call now, although I did tell them not to hurry!! 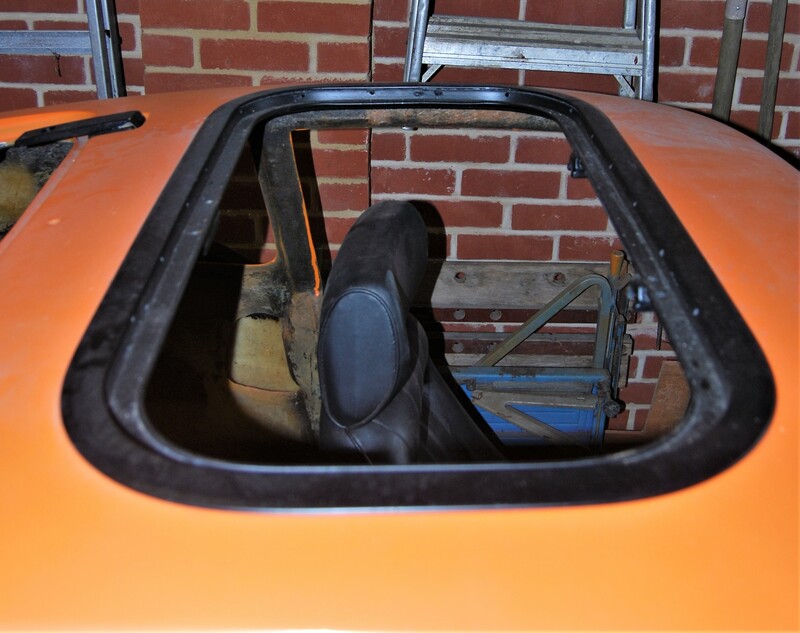 Sunroof prior to going to its temporary home at the windscreen place. Never tell any firm that you are not in a hurry! Apologies for no recent updates but I have been a very busy chap. Managed to get a few minutes today and sorted something I've been meaning to do for a little while - the top hose arrangement. The setup that I had was just a 90-degree hose and I'd realised that it wouldn't clear the bonnet. So of I trotted to eBay and bought myself a 45 degree hose and a 70mm long aluminium joiner. A little bit of measuring, a touch of adjustment with my friend Stanley and some new jubilee clips and all looked very much happier. 90 degree hose - bonnet won't fit. 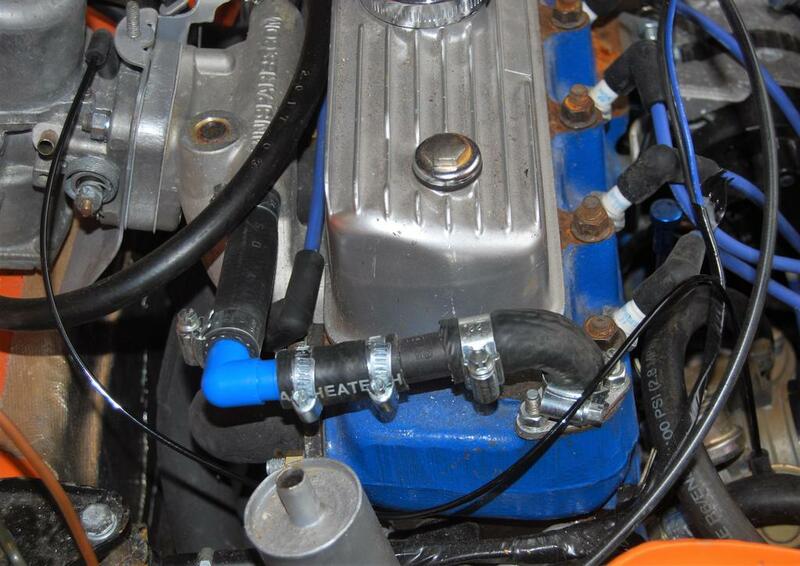 Revised top hose arrangement - MUCH better! For the princely sum of a couple of quid I got myself a new clip that fits over the the throttle pedal and stops the cable from springing out (allegedly). 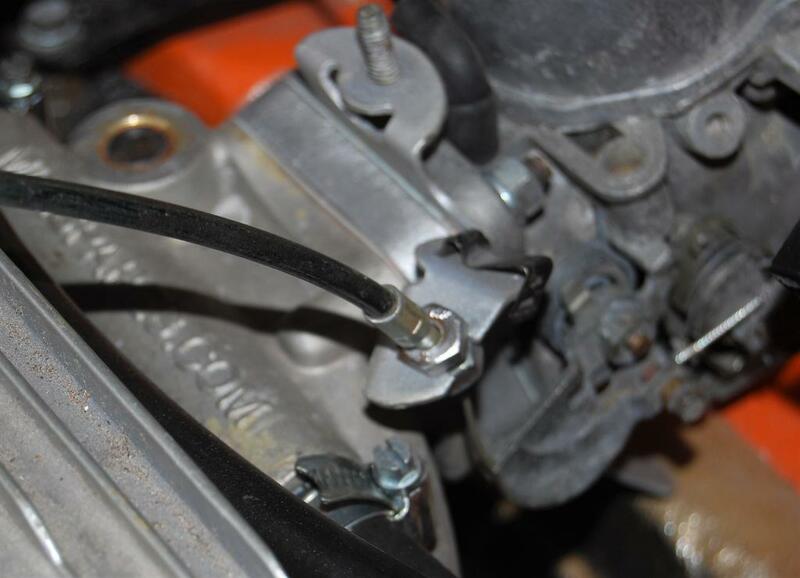 So I separated the inner from the out throttle cable and after some half-blind groping in the footwell I managed to thread it through the appropriate hole in the bulkhead and fitted a grommet. 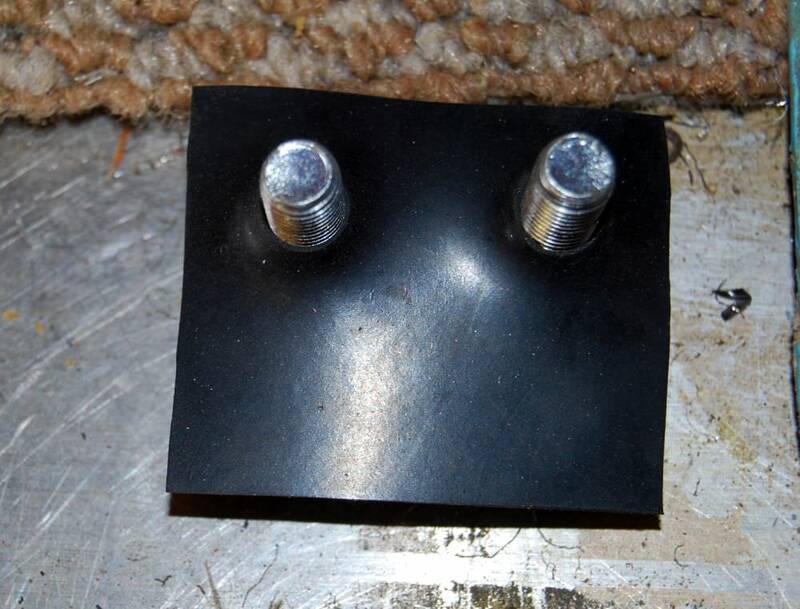 I then threaded the homemade bracket which holds the outer cable to the bulkhead back over and screwed it into place. 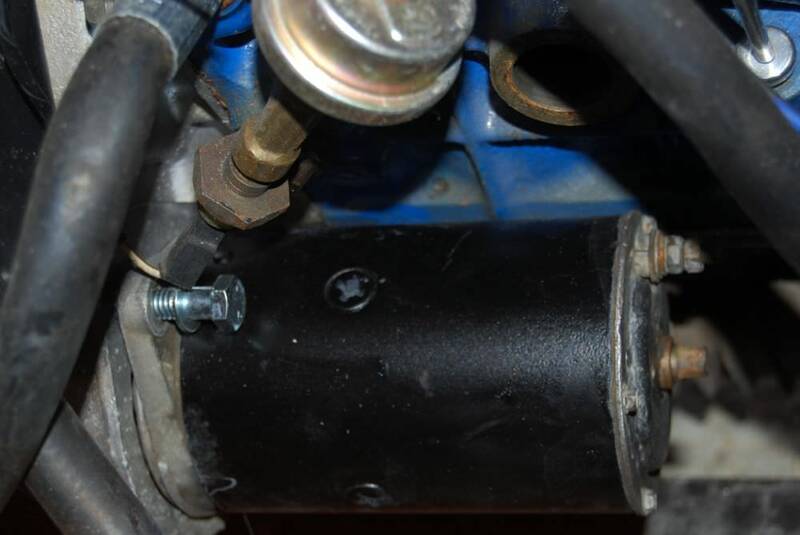 Once the outer was on I looked at the carb: of course there was a problem. As far as I can recall the HIF44 has a plastic tube which fits into the abutment plate and secures the outer cable whilst guiding the inner cable. Did I have such a thing? There was a slight possibility that I did, but if so, it wasn't in the place where I may have put it (house move and all that). Knowing my luck, it's probably still sitting in a corner of the old garage. Yes, I could have ordered up a new one, but I couldn't see anything obvious after a quick glance at the usual Mini sites on my phone (They were probably available but I didn't have my reading glasses with me...). 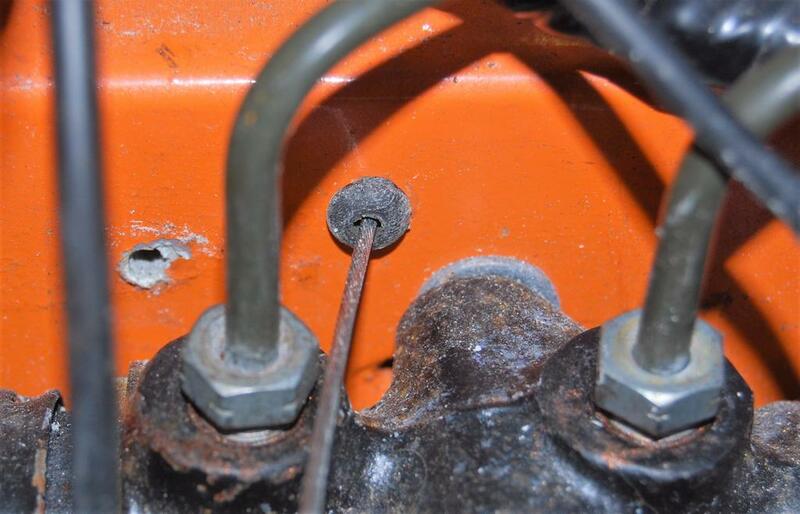 So it was time to think laterally - what could possibly fit in the hole yet also clamp the cable in place? What I needed was a specific type of sleeve. 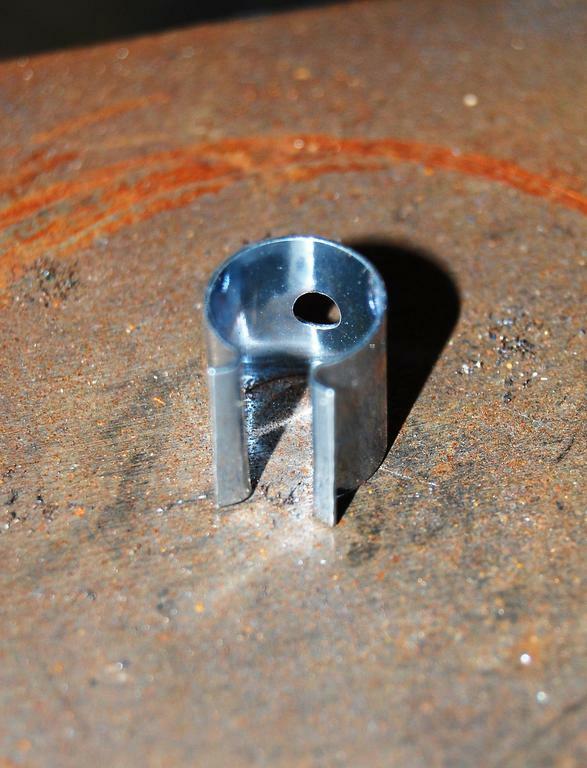 I started looking in my parts drawers then it dawned on me - I could use a bolt with a hole in it. I didn't have one, but I do have a pillar drill. 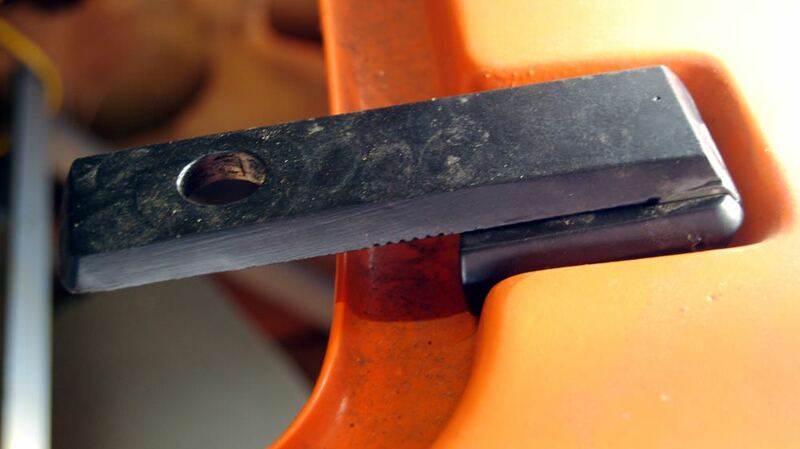 So, armed with a 2mm drill bit and the drill vice, I got as close to centre as I could and drilled carefully down. 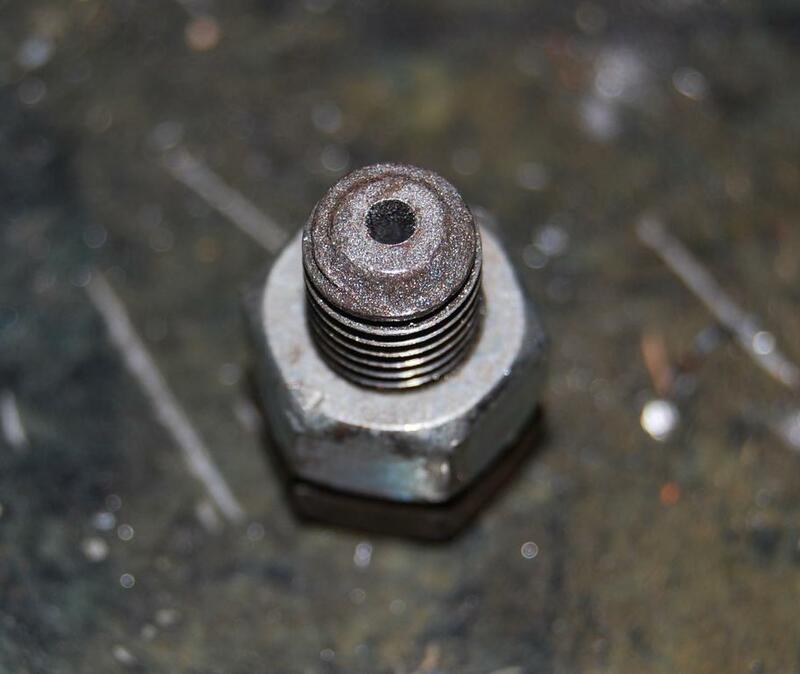 Once done, I measured the outer cable (5mm) and then drilled a 5.5mm hole in the head of the bolt for the outer to fit into. I bolted everything up to the carb and it all works beautifully. Oh, and whilst searching for the non-existent part, I found the (new) vacuum advance pipe and fitted it because why not? This tiny little thing caused me grief by not being in the garage when I needed it. So I bought a new one and fitted that. 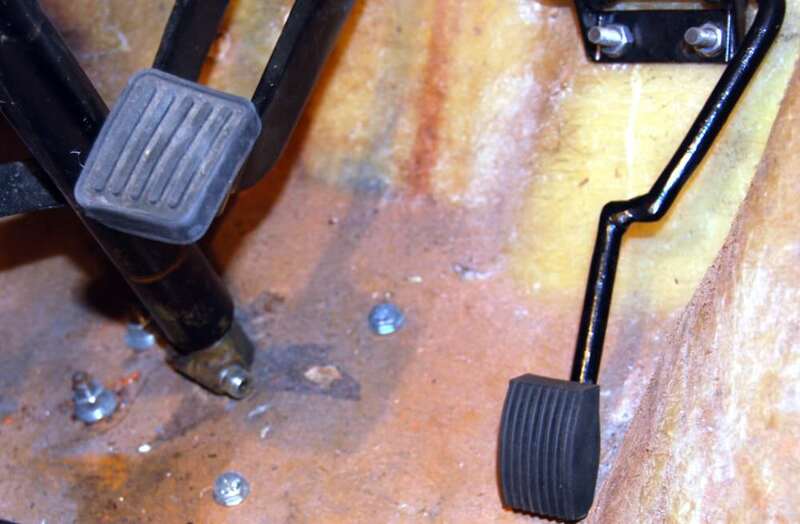 Fitting it enabled me to attach the inner cable to the pedal and to poke it through the bulkhead. No cable guide on the carb saw me get creative with a bolt and the pillar drill. And finally, new shiny vacuum advance pipe fitted too.